This morning I woke up to the cold fact that MobileMe had finally expired. I’ve been going through the seven stages of grief, because for the past year I knew this day was coming. Lots of worrying about it for months. My digital life was healthy just the way it was. I had no reason to change. And for those who have been following my ongoing crisis, you can finally relax. My family’s computing affairs are in order. I’ve prepared four family computers for three family members, crossing two generations. I’ve taken down all our MobileMe photo and movie galleries. Not that I had to pull the plug myself, but I didn’t want any of my terminal MobileMe files accidentally locked away in some faraway data prison. Supposedly deleted back in 2012, but then somehow found and released to the galactic Facebook Federation in 2212. Don’t want my family beach vacation photos to become an exhibit at the Guggenheim 2 on Mars. All Quiet on the Computer Front? So after a couple weeks of deleting with purpose, (nothing like a deadline to get you motivated) I erased my final MobileMe media gallery. With just hours to spare. Last night, iCloud was hovering over the Lester household and prepared to take over. But my eyes popped open this morning, and I immediately felt a disturbance in the Force. I sat down with my cup of Joe in its perfectly balanced coffee mug and checked my email on my iMac using my old Entourage email program. Instead of hearing the familiar PING of a happily received email, a message popped up on my screen. “Don’t panic,” I told myself as I began looking for a paper bag. Maybe iCloud simply requires different email preferences in Entourage. So I checked out Apple’s page on iCloud’s Mail Server tips. It revealed a slightly different IMAP name than the one I was using for the incoming mail server. I updated the field with imap.mail.me.com and pressed ENTER. Immediately something started to happen. And a number started counting upwards to reflect each of my emails. The little progress bar proceeded quickly. ALL MY EMAILS HAD DISAPPEARED. But I didn’t panic, because I knew they also now existed in my iCloud account. I just had to figure out a way to get my email back into Entourage. So I looked a little closer at the Apple article. My Entourage preferences didn’t have SSL checked and was using Port 143. And just as fast as my communications purge began, I was quickly back in business. I looked at my half empty cup of coffee and reflected on the past fifteen minutes. Yes, I had just made it through the slow moving hurricane of a technological seachange, and I still had all my clothes on. And yes, I dodged a last minute bullet that could have really ruined my Sunday. Time to celebrate? Not really. I actually felt rather drained. Black Eye? You Should See the other Guy. I am not bristling with accomplishment at my herculean digital spring-cleaning and my unexpected Entourage curve-ball dodge. I am tired and cranky. And a little sad and angry, too. 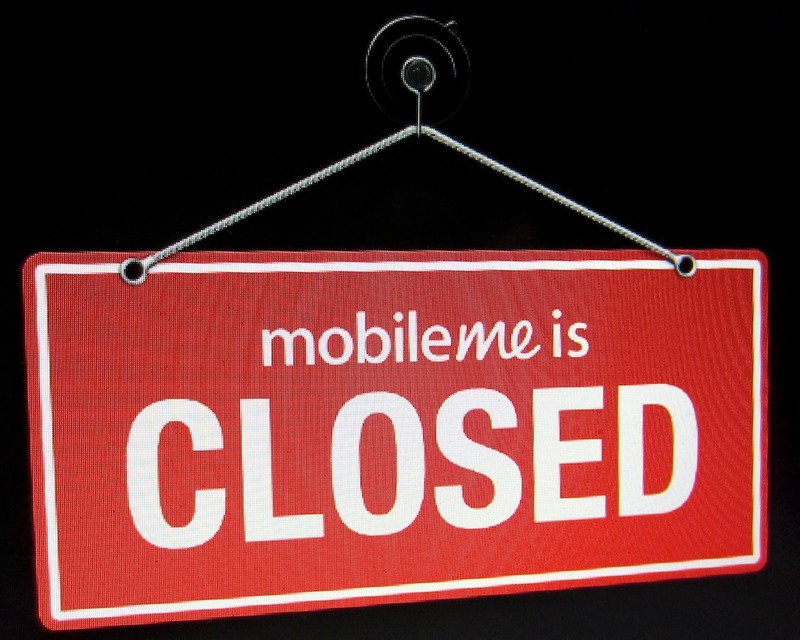 Sad that my friend MobileMe is gone. Angry that I’ve had to start all over again and find other digital choices to share my life online. I’ve run a hard race and crossed the finish line just in time to avoid elimination. And I’ve got nothing to show for it other than a crappy T-shirt that says everything on my computer still works. And that’s a problem with technology. It keeps moving forward, even when you don’t want to. Last week, Facebook changed everyone’s default email addresses on their accounts to a newly-created Facebook email. I was happy with my old email address, thank you very much. And as for hardware, forget-about-it. It’s always great to try the next best thing, but then you can’t settle down and get comfortable. Like it or not, you’ve got to keep up if you’ve decided to play in the digital sandbox. If next year someone told you that the English language was being rewritten, and replaced with something better, you’d be pretty cross, wouldn’t you? And then you’d learn English 2.0. Computer technologies are the de facto tools to help you define who you are in today’s 21st century world. They can represent your voice more than your spoken words. And the more you use them, the more you rely on their smooth functionality. Is my life better with iCloud? Today, my address book and calendar on my computer still sync with my iPhone. But I had that yesterday. Look, I know that technology offers us huge steps forward on a regular basis. The actual iCloud data transfer was a snap. Kudos to Apple. It was all the necessary prep (OS upgrades/media deleting) that was such a headache. I think the truth is new technology is never as easy to use as the public wants to believe. Sure Apple makes it easy as long as you’re using one of their new devices. Google is magic as long as the search results you need show up on the first page. Facebook brings the world together until it annoys millions with their newest interface tweak. The marketing gurus have convinced us it’s all so easy even a child can do it. More and more today, you’d better have a child around to show you how. My story today is a cautionary tale. Don’t listen to the marketing sirens out there. It’s not always a snap. Life isn’t easy. Why should your virtual life be any different? Just don’t take technology for granted, and at least it won’t make things worse. Sometimes your favorite hang out shuts down. Mourn and move on. That’s life too. I really enjoyed our time together. Think I’ll go have a sandwich now. Now its time to decide – do I go the route of ordering a replacement drive & bring it back to life with some simple repairs – or walk into the shiny Apple store and buy a brand-new one? All my accessories (case, car dock, etc) may not fit the new one – and the cost of items to do a complete repair (new battery, new 30Gb drive, tools) will only be about $50 – so I think I will try the repair. I just don’t want to say goodbye to something that I’ve used for years!